We are living in the iGeneration. 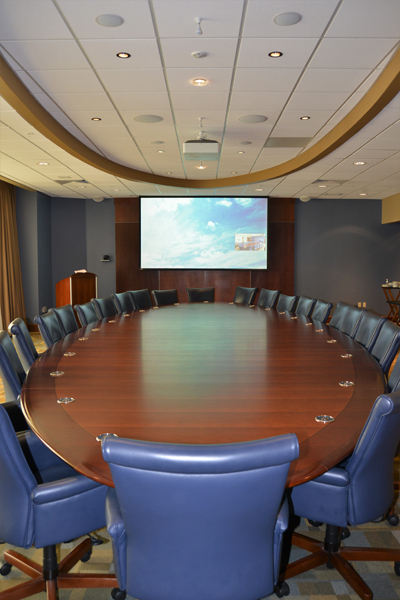 Today, every conference room audio video solution must have the capability of instant communication. Gone are the long expensive, unproductive travel days to attend an hour-long meeting on the other coast. Conference room system integration gives you web conferencing, conference room scheduling, screen sharing, conference calling, web conferencing, video conferencing, and audio conferencing all from a stroke of your touch screen. Commercial audio visual installations are where the expertise of your AV company is critical. Our team of highly trained specialists understand the complexity of integrated technology. An exceptional level of skill is critical when designing and planning for today's advanced corporate facilities.